Originally, the hill tribe villagers at Doi Chang used to grow opium through deforestation and shift cultivation to support themselves. In 1983, His Majesty King Bhumibol mercifully granted commercial crop samples to the locals to grow with the intention of reducing deforestation and improving their standard of living. In the early stage, the coffee grown by Baan Doi Chang farmers was sold to coffee dealers at an unfair price. After realizing that they are being taken advantage of, the farmers united to build an independent company to counter this unfair trade. Once the company is formed, they are able to perform a stringent quality control on the beans produced before they are taken to the market, in order to make sure that their products are desirable in the market at an acceptable price. Gradually, the persistent effort in processing the bean with strict quality control and utilizing modern technologies brought worldwide recognition to Doi Chaang Coffee as the worlds top grade Arabica specialty coffee. The success of the Doi Chaang Original Co. Ltd., is due to the enduring hard work of the villagers together with their dedication and sacrifices for the common good. 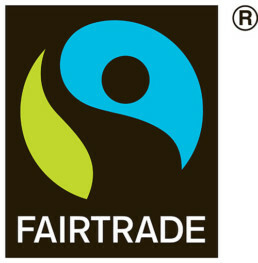 Fairtrade label on their products enabled them to form a strong and cohesive community, creating a sustainable economic growth. The community embraces several positive changes such as the opportunity to exchange knowledge with different people from different aspect of business, which lead to the reduction of deforestation, preservation of natural resources, and enhanced environmental protection.